This one is a no-brainer. Heck, even someone without a brain can tell you that this is one of the biggest locks of the night. The standout performance has stepped out upon the academy’s stage, the fate of human dignity in their hands! Blood’s been spilt to afford us this moment! NOW! NOW! NOW! Oh, sorry, I got a little carried away. Our first nominee is Bradley Cooper for Silver Linings Playbook. More known for his comedic work in films like The Hangover, Cooper scores his first nomination here, and it’s well deserved. Cooper truly nails it as a disfunctonal man, who, despite his labeling as ‘crazy’, tries his best to live in his ‘anti-crazy’ world. I loved this movie, (In fact, today being Valentine’s Day, I think it’s a very good movie to watch with your loved one.) but I think that Cooper will just have to wait it out. Why? Because there’s no way he’s going to beat Daniel Day Lewis from Lincoln. Why? Because it’s sheer acting perfection! Researching the area that Lincoln was originally from, he gave the President back his voice. 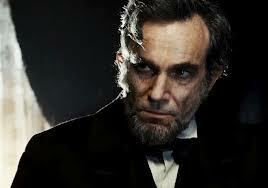 Watching the movie is like being in the same room as Abraham Lincoln. It feels very authentic, even though we don’t see any character development. Winning the Critic’s Choice, Golden Globe, and Screen Actors Guild all put him in he best possible position to win, with the only bump in the road being the fact that this guy already has two Oscars for My Left Foot and There Will Be Blood. But this man is serious, and if you bet against him, He. Will. Drink. Your. MILKSHAKE! The only other actor who has even a small chance at winning is Hugh Jackman from Les Misérables. This is Jackman’s first nomination, and while I can’t say that I personally would have nominated him, I think he does okay. He did win the Golden Globe for Best Actor In A Musical/Comedy, beating out Cooper. While better known for playing Wolverine, he does surprisingly well carrying out a drama. So, consider him a runners up. Hey, he stands a petter position than Joaquin Phoenix from The Master. Phoenix scores his third nomination here, the other two being for Gladiator and Walk The Line. The film contains three of the year’s best performances, and Phoenix is one of them. He perfectly balances being completely insane with maintaining that crucial element of likability. Like many things in the film, you don’t know what to make of it. Unfortunately, the Academy is likely to see that as a bad thing. Our last nominee is Denzel Washington for Flight. It’s worth mentioning that Washington scores his sixth nomination here, making him the most nominated african-american actor in Oscar history. He previously won for Glory and Training Day, but I don’t think he stands a chance against Day Lewis. I may be biased on this, seeing as how I haven’t seen the film, but hey! I’m always biased.